We have great food here ! 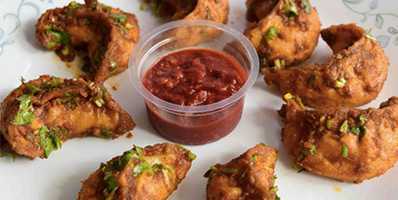 We are a fast-food chain that specializes in handcrafting authentically prepared, clean and healthy Momos. At juicy Momos, even as we are working tirelessly to preserve authenticity, we like to experiment and have some fun. We are an up-and-coming fast-company with kiosks and catering services for homes and businesses. Chetan, our founder is a born Bangalorean, choosing therefore to bring, what he sees in his travels back home with him. We are a product of that vision. What he found in a little Momo shop in Kasol made him want to show Bangaloreans what they have really been missing. So he started a little kiosk and named it Juicy Momos, for what better way to describe the momos he had found in Kasol? 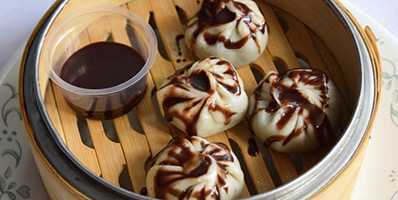 Chetan quickly expanded Juicy Momos to create a chain of momo stalls and expanded the menu to include his own twists to this humble dumpling. We offer you the taste of authentic Momos, crafted by hand by experienced and passionate chefs – with a plethora of new makeovers! 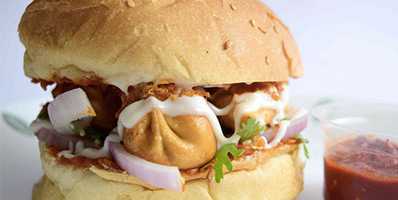 Try our Momo hotdogs, burgers, rolls or even chocolate Momos and you will know what we mean. Along with our stalls, we also deliver to homes and businesses. If you have any questions regarding our food, our delivery services or any other momo related emergency, call us at 9538550509.